Doors opened yesterday to the Country Living Magazine Spring Fair. Hundreds lined-up outside and made a quick bee-line to the vintage stands. Here are a few of the stalls well worth a visit – they re-stock daily so no fear of missing out – however most of the items are one-off, unless it’s the beautifully crafted handmade you are after, in which case you will have more of a choice. 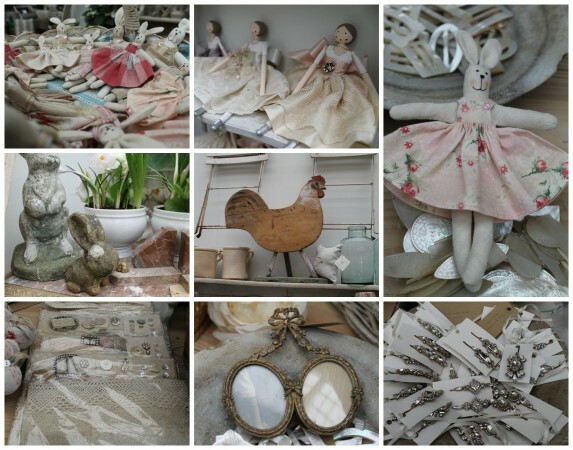 It is open until Sunday 24th March and features lots of lovely Easter treats. 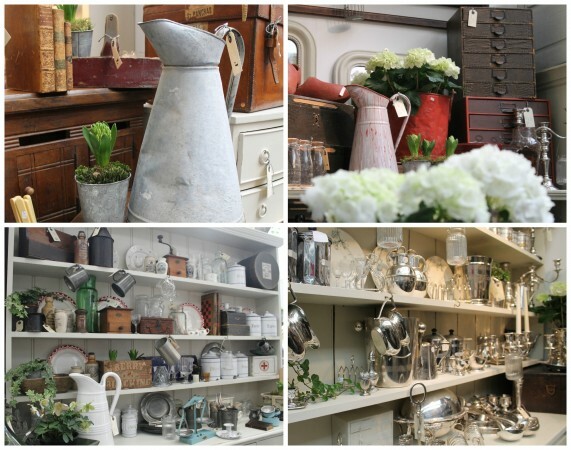 We headed first to Garden Brocante (stand M29) – a well established stand and so popular you have to be in quick when doors open. 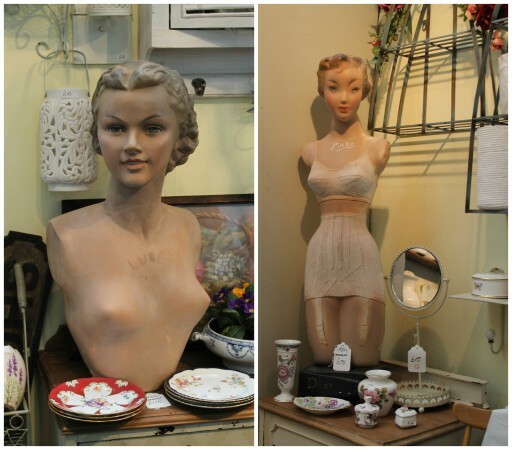 Zoe is forever running down to her stock room to replace the wonderful array of vintage finds. Excellent prices make this stand the go-to at the fair. The Fluffy Slug (Stand M137A) sells a range of handmade cards, keepsakes and accessories using all manner of vintage things. I loved the framed pictures with vintage finds secured to little labels. You can order from Bridget a bespoke present which, if you used personal mementos would make a wonderful gift. 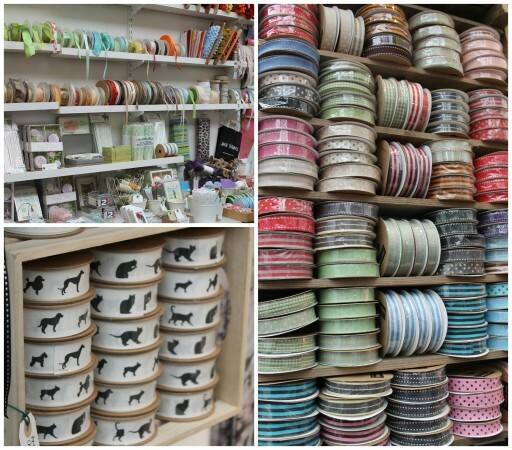 Velvet Ribbon (Stand M124) sell old and new homeware and accessories. Artificial flowers were big at the fair – don’t think of the old, dried offerings we may have had when we were younger, the flowers available today are unbelievable – you wouldn’t know unless you touched them they are so realistic. Velvet Ribbon had a wonderful collection in tubs, as garlands and little individual posies. If you were decorating a vintage stand at a fair or decorating a table for an Easter banquet they would look stunning. Emma had collected lovely vintage boxes from Europe, quilts, shelves and very useful little storage drawers. I didn’t leave empty handed! 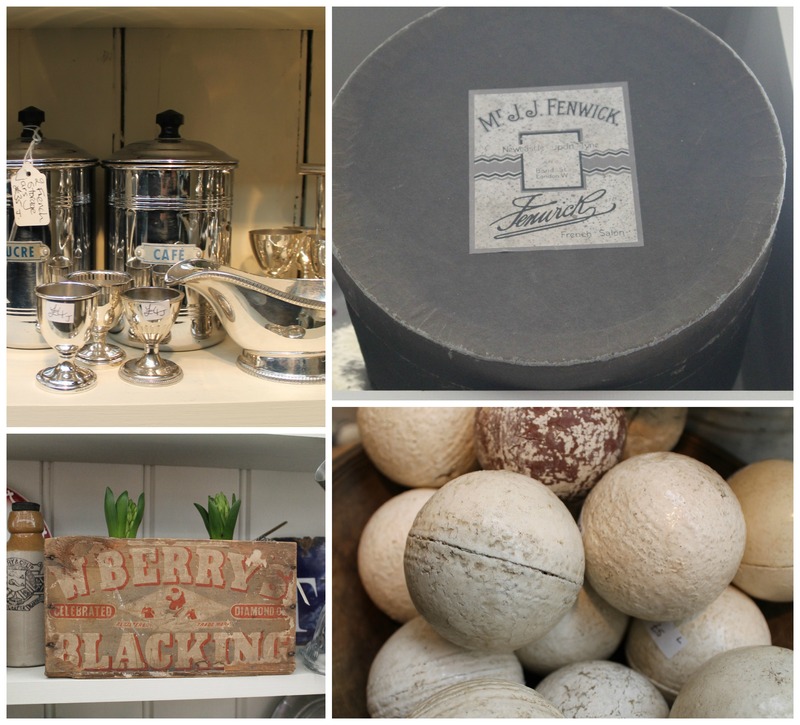 On the ground floor (stand N11) you’ll find Bennett & Barnes Antiques. 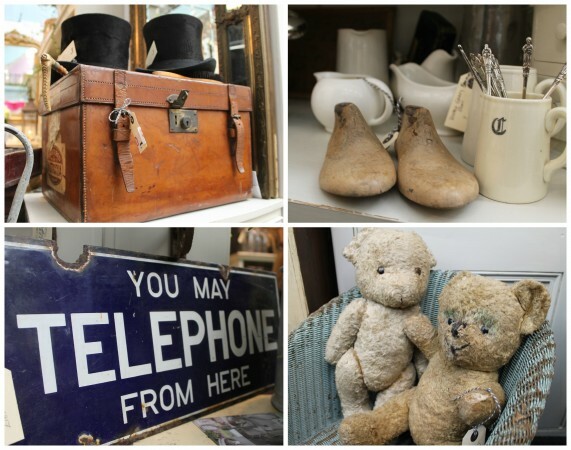 Julian and Liza have been selling antiques for over 16 years when they decided to join forces to bring their passion for vintage furniture and unusual French and English decorative items to a wider audience. When we got to their stand it was incredible to see red sold tickets on a lot of items. 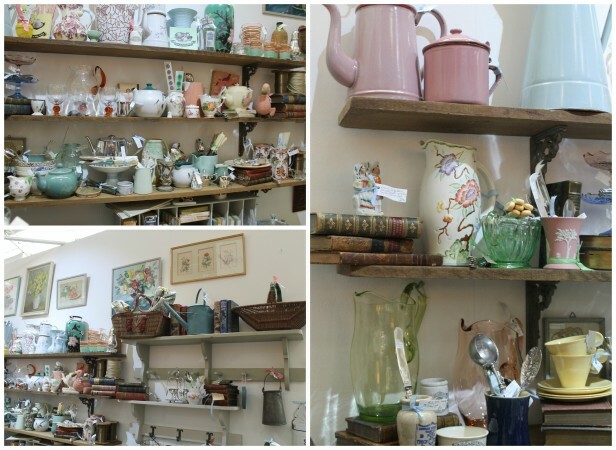 However they had shelves and shelves full of vintage goodies and were pulling all manner of fabulous things out of the storage cupboards. I really really wanted the Fenwick hat box and had to be dragged away. Look at the lovely top hats and the case they came in – that had been sold right away. Loved the telephone sign too. The fair offers lots of workshops and talks. On Thursday in the business zone, ‘Kitchen Table Talent’ will be offering free exclusive talks. At 3.15pm Josephine Ryan will be sharing her ideas on how to ‘Be a Successful Vintage Hunter’. The very talented Jane Means has a stand full of ribbons, wrapping tissue and lovely labels. Jane is the UK’s Gift Wrapping expert and is also running workshops at the fair. Look at the fabulous dog ribbon. She also has some very on trend black and white baking cases, packing bags and tissue. The fair is at the Business Design Centre, 52 Upper Street, Islington, London, N1 0QH. The website has all the necessary information on opening times, programmes and floor plans. Now I am just longing for their Christmas fair (one of my favourites) but I have to wait until November!